The NBA season is just a little over a quarter of the way through, and even though it isn’t much of a sample size, we’ve seen some great performances. Russell Westbrook has been a one-man wrecking crew, the Warriors are beginning to settle in nicely, and the Cavaliers are atop the Eastern Conference. This is pretty much how we would’ve drawn it up at the beginning of the season, but that’s not to say there haven’t been a few surprises. I highly doubt any of these recipients would be pumped to hear they’ve won a quarter season award, but we’re gonna give it to them anyway. So, don’t get too excited yet, but here’s our 2016 NBA First Quarter Awards. As of tonight, Westbrook is the uncontested NBA MVP. If the MVP truly stands for “most valuable player,” there should be no argument. If you pull him from the Thunder, they are tanking for the number one pick in the 2017 NBA Draft. Westbrook is leading the league in scoring, and he’s averaging 30.9 PPG. These numbers are historic, and the only thing stopping me from bowing down and worshipping his game is the fact that we’re only a quarter of the way through. If he is somehow able to keep this up all season, we’re talking about one of the greatest single seasons in NBA history. Plus, the old guys who vote for this stuff will love that he didn’t ditch OKC and that he’s doing it on his own. It all started off as a normal game against the Indiana Pacers for Klay Thompson and the Golden State Warriors. Klay was hot right out of the gate, pouring in 40 points before halftime. This wasn’t anything ridiculously out of the ordinary, but it was already one of the best night of Thompson’s career. He followed it up by sliding in another 20 in the third quarter, before sitting the entire fourth quarter with a whopping 60 points. Of course, this led everyone to wonder what might’ve happened if Klay actually played the fourth quarter, but regardless, it stands alone as the best game anyone has played this season. C’mon. This is the NBA First Quarter Awards, so we’d be sorely mistaken if we didn’t give an award for something that somebody did in the first quarter. In this case, that man is Kevin Love. If you could combine Love’s 34 first quarter points (yes, you read that right) vs. the Portland Trail Blazers with Klay Thompson’s three quarters of excellence, you’d have yourself a 94 point game. Not too shabby, considering the 76ers can’t even do that as an entire team on most nights. As of now, Joel Embiid has already established himself as perhaps the best player on the Philadelphia 76ers. He is a beast defensively, drives to the basket with ease, and has one of the funniest Instagram accounts in the NBA (not that this makes him any more qualified to be rookie of the year, but you should definitely check it out). Perhaps the craziest thing about Embiid’s 17.5 PPG, 7.3 RPG and 2.5 BLK is that he’s doing it all on a minutes restriction. Hopefully for the Sixers, Embiid can stay healthy. If they are to have any future of success, the big man certainly looks to be a focal point of it. I know what you’re going to say. How can Anthony Davis get comeback player of the year when he averaged 24.3 PPG last season? Well, Davis missed a large chunk of last season because he needed surgery on his left knee, and he’s missed at least fourteen games in each of his first four seasons. If Davis is somehow able to keep up at his torrent pace of 29.6 PPG and stay healthy, he would be fully deserving of the award. When it comes to other awards like Team of the Year, the season just hasn’t progressed enough for anyone to stand out. The Warriors are pretty much where we thought they’d be, same with the Spurs, Cavs and Raptors. Maybe we will be able to give them our prestigious awards at the midseason mark. As the season develops, some of these guys will fall off, but some of them just might win an actual award at the end of the year. 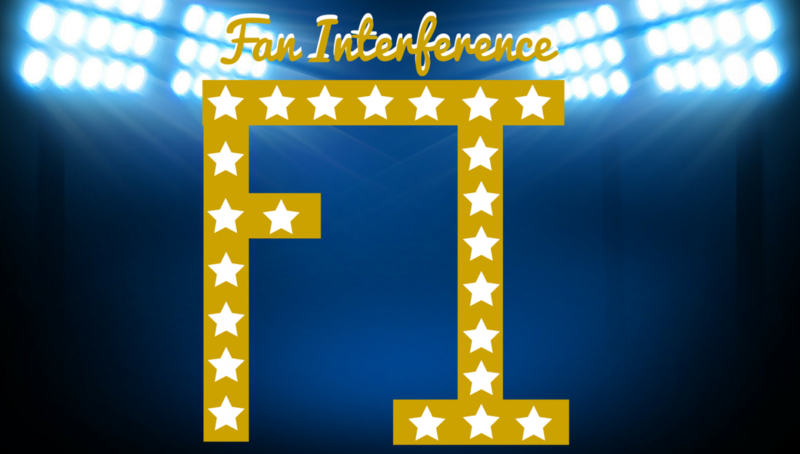 For those who don’t, it’s ok. You were a winner in the Fan Interference NBA First Quarter Awards. Don’t spend it all in one place, kids.